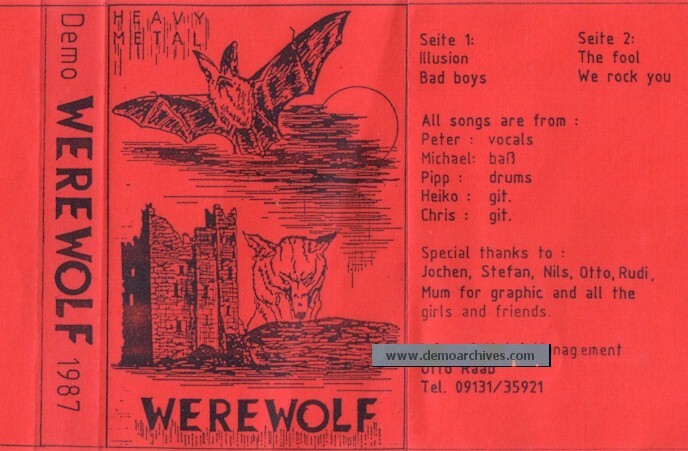 Werewolf was a heavy metal band from Bavaria Germany. Classic paper cover and black cassette. White sticker with songs written on it.